Apply to Become a Native Nation Rebuilder Today! The Native Governance Center is now accepting applications for its Native Nation Rebuilders program. The Native Governance Center has assumed full responsibility to carry forth the work of the Native Nation Rebuilders program, a leadership development program established by the Bush Foundation in 2009. Only open to enrolled members of the 23 Native nations within Minnesota, North Dakota and South Dakota, participants selected to be Rebuilders commit to a two-year learning journey – developing tribal governance knowledge and leadership skills to implement action plans in their communities. As of today, over 100 tribal citizens from all across the region have graduated from the program and have gone on to support nation-building projects within their communities. The application period is open through August 29th. For details or to apply online, visit nativegov.org or contact Rebecca Crooks-Stratton at the Native Governance Center at hello@nativegov.org. Please visit us on Facebook, or check out our Rebuilders YouTube video for more information. Don’t Miss Dr. Bowman on CREA’s 2016 Panel Presentation Tomorrow! CREA 2016 Panel Presentation, Being Culturally Responsive: Discerning When, Where, and How Cultural Familiarity Counts. Melvin Hall (Northern Arizona University), chair. Nicole R. Bowman (Bowman Performance Consulting, LLC), Wanda Casillas (Deloitte Consulting), Fiona Cram (Centre for Social Impact, New Zealand), Rodney Hopson (George Mason University), & Hazel Symonette (University of Wisconsin-Madison), presenters. Register now for Eastern Evaluation Research Society’s 39th Annual Conference! Eastern Evaluation Research Society will commence its 39th annual conference, beginning Sunday, May 1st and continuing through Tuesday, May 3rd at the Seaview Resort and Spa in Galloway, NJ. This year’s theme is Improving Outcomes, Building Knowledge: Finding What Works. Featured speakers include John Gargani, Katrina Bledsoe, and Tony Foleno. Stafford Hood will be the keynote speaker of this year’s Eleanor Chelimsky Forum on Evaluation Theory and Practice, with Nicole Bowman as discussant. Tom Archibald and Mustafa Karakus will hold pre-conference workshops on Evaluative Thinking and Economic Evaluations, respectively. Christine Maidl Pribbenow, Ph.D., is a Senior Scientist at the Wisconsin Center for Education Research at UW-Madison. 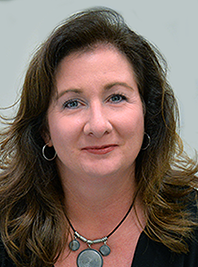 As a professional evaluator, she uses mixed methodology to assess student and faculty learning, and to evaluate educational programming for various postsecondary institutions and organizations. She has been the Evaluation Director on a variety of programs to increase the number of underrepresented minorities in STEMM, including women and different racial/ethnic populations. As the Director of LEAD, she works with potential partners to develop evaluation plans and after funding, oversees professional evaluators who who conduct the evaluation. 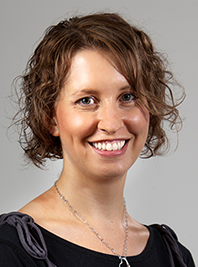 Sara Kraemer, Ph.D., is a Researcher and works on a variety of evaluation projects and programs in higher education, including the Achievement Gap Project, the Delta Program, and most recently the Wisconsin Collaboratory for Enhanced Learning (WisCEL). She also works in K-12 content areas including teacher and principal evaluation systems, measurement of teacher quality, and data-based decision making. She holds a Ph.D. in Industrial and Systems Engineering from UW-Madison. 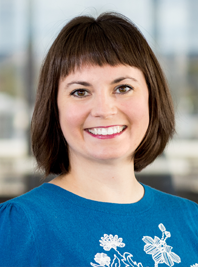 Kate McCleary, Ph.D., is an Associate Researcher with the LEAD Center. Evaluation and assessment has been central to the work Kate has carried out in international education over the past decade. She uses evaluative practices in examining undergraduate intercultural learning and cultural adjustment, and establishing and reviewing international, university-partnerships within higher education settings. She was a member of a longitudinal, team-based, evaluation of a girls and marginalized children/youth empowerment program carried out in eight countries through the Minnesota International Development Education Consortium. Kate appreciates the utilization of mixed-methodology in evaluation studies, and has taught qualitative research methods at the undergraduate level. She values the insight and understanding that her work provides to institutions and organizations with which she partners. Kate holds a Ph.D. from the University of Minnesota in Educational Policy & Administration with a focus in Comparative International Development Education. Christine Fabian, M.S., is an Assistant Researcher focusing on evaluation research for grants and programs related to higher education. Her evaluation experience involves community education programs, NSF funded scholarships, undergraduate research experiences, first-year student engagement activities, and women in STEM. 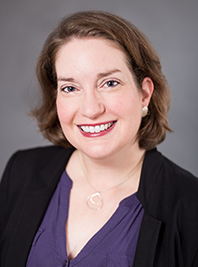 Since beginning work at the LEAD Center, Christine has continued to develop her skills in mixed-methods research, data collection and analysis, survey design, and qualitative data analysis software. She has bachelor’s and master’s degrees in Sociology and Rural Studies from South Dakota State University. Mary Mezera, B.S., who has been with WCER for three years and is the Administrative Coordinator for the center. She also assists WCER PIs Sadhana Puntambekar, Marty Nystrand and Sandy Rutherford. She has an associate’s degree from UW˗Rock County in applied arts and science and a bachelor’s degree from Edgewood College in criminal justice. Sign Up for the CREA CRIE Workshop! Dr. Nicole Bowman will be providing a preconference workshop at the international conference for the Center for Culturally Responsive Evaluation and Assessment (CREA). The Third International CREA 2016 conference will be held April 20-22 at the Palmer House Hilton Hotel in Chicago, Illinois. 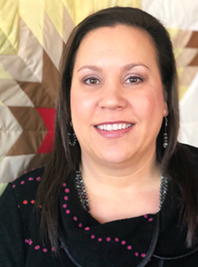 The preconference workshop is entitled, Culturally Responsive Indigenous Evaluation (CRIE): Indigenous Knowledge, Frameworks, & Case Studies to Inform/Transform Evaluation Practice that will be co-presented with Dr. Fiona Cram. Dr. Nicky’s preconference workshop will be held on Tuesday, April 19, 2016 in the Chicago Room of the Palmer House Hilton from 8:30 am to 4:30 pm. The annual CREA Conference is to bring together an interdisciplinary group of scholars from around the country and internationally to focus on the role of cultural theory and practices of evaluation and assessment. The conference title, The Next Generation of Theory and Practice: Rethinking Equity through Culturally Responsive Evaluation and Assessment, provides a central focus that is also guided by the five themes of: broadening participation in STEM and beyond; capacity building in global and local communities and neighborhoods; development of equitable measures, methods and metrics; policies and practices of influence and consequence; and examples of effective models of collaborations and networks. We look forward to you joining us at the Third International CREA conference! What Can Public Ed Learn from Dr. Nicky? *Click image to view the video! Small business owners are always weighing opportunities with risk, profit margins with reinvestment back into the business, and exploring ways to leverage opportunities, sustain professional relationships, and to strengthen business networks for expanding collaborative partnerships for future initiatives. The continuous thought and behavior processes of a small business owner got me interested in clicking the link and fully reading a recent Nature’s Sunshine blog (http://blog.naturessunshine.com/) written by a blogger named Dan Bischoff. The article was called, “10 Habits of Anxiety Free People” (http://blog.naturessunshine.com/10-habits-of-anxiety-free-people/). It focuses on ten general suggestions that are good but could be applied to many situations. Taking from my recent business experience, I thought I would give it a shot and try to address his suggestions with a local application. Hopefully my applied example and business context provided here will give others inspiration to take a few more of the articles you read in 2015 and try to apply them locally. I’m going to try to do this quarterly for 2015 so I am not overwhelming myself or my capacities. I’ll be sure to keep you posted. That being said, I understand and believe that some worry is good and that nobody lives a life totally free of worry and anxiety. As many before me have more eloquently stated that it’s not the challenge, worry, or anxiety itself… but what you do with it. Once a challenge, anxiety, or worry (plural or singular, larger or smaller) plops itself right smack in the middle of your day or life, how will you handle it? Here’s my real-life situation: I want to build more collaborative client relationships by building key organizational networks and project opportunities vs. simply responding in an individual manner to bidding, networking, or other marketing opportunities. Is a recognized and respected leader in the appropriate field or industry based on past performance. The tradeoff here is moving to a business philosophy of having fewer, but more meaningful relationships with long-term projects, partners, and clients instead of having many projects with partners and client relationships that end when the funding stream runs out. This is a hard sell in my mind and emotionally because practically it shouldn’t be as tough to do as it feels, especially when you’re used to having 12-15 clients and are down to 5-7 clients. Most of these are long-term partners with high potential to continue working and collaboratively searching for the next opportunity together. And we all know 5-7 good projects can be much more manageable and profitable than 12-15 projects. Fortunately that has been the case for BPC. But it’s just getting over that number and age old question of “how many projects or clients do you have?” It’s really a mental shift and an emotional shift as you make your way through the natural day-to-day ups and downs of a business. *Stop by next week for Part III and what BPC is doing to reach our goals.